For its 44th edition, FIAC (the International Art Fair), one of the world’s leading art fairs, will run from Thursday, October 19 to Sunday, October 22 this year, bringing together some 185 of the most prestigious modern and contemporary art galleries from 26 countries in the iconic Parisian venue, the Grand Palais. The General Sector will feature some 175 galleries deployed in four spaces: the Nave on the ground floor together with the Salon d’honneur, the Upper Galleries and the Salon Jean Perrin on the first floor. The Upper Galleries also host the ten galleries comprising the Lafayette Sector. The Lafayette Sector, a programme launched in 2009 by FIAC and the Groupe Galeries Lafayette, Official Sponsor, underlines their joint desire to provide support to the actors of the emerging art scene in its international dimension. The Lafayette Sector provides financial support to 10 French and international galleries presenting emerging artists. The 2017 jury was formed by Daria de Beauvais (Curator, Palais de Tokyo, Paris), Mark Dickenson (Galerist, Neue Alte Brücke, Frankfort), Guillaume Houzé (Image and Sponsorship Director, Galeries Lafayette Group, Paris), François Quintin (Associate Director, Galeries Lafayette Corporate Foundation, Paris), Elisa R.Linn (Curator, km temporaer, Berlin) and Matt Williams (Curator, ICA London). Launched in 2016, On Site presents sculptures and installations in locations in and around the prestigious Petit Palais: the exhibition spaces, the garden, the esplanade, as well as the Avenue Winston Churchill which will be transformed into a pedestrian zone for the duration of FIAC. On Site is organized in collaboration with Christophe Leribault, (Director and Curator of the Petit Palais) and Eva Wittocx (Senior Curator, M-Museum Leuven), associate curator for 2017. Applications for On Site are now available for completion on our website. FIAC reaffirms its strong cultural mission through the Hors Les Murs programme. A program of artworks – unrivalled in scope in the landscape of international art fairs – will be presented in emblematic Parisian sites: in the Jardin des Tuileries, the Musée National Eugène Delacroix, and on the Place Vendôme. The selection committee for the Jardin des Tuileries, presided by Vincent Pomarède (Curator in Chief, Director of Mediation and Cultural Programming), includes curators from the Musée du Louvre together with Bernard Blistène (Director of the Centre Pompidou, Paris), and Jean de Loisy (President of the Palais de Tokyo, Paris). 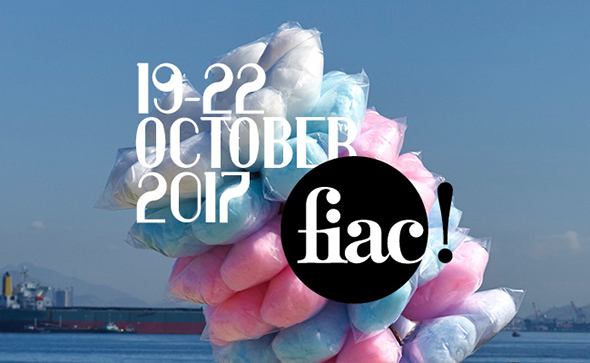 FIAC will also present the performance festival Parades for FIAC, as well as a series of conferences and screenings of artists’ films. Applications for the Hors les Murs programme in the Tuileries Garden are now available for completion on our website.